Thank you all that entered. Our Queen will choose the winner ASAP! 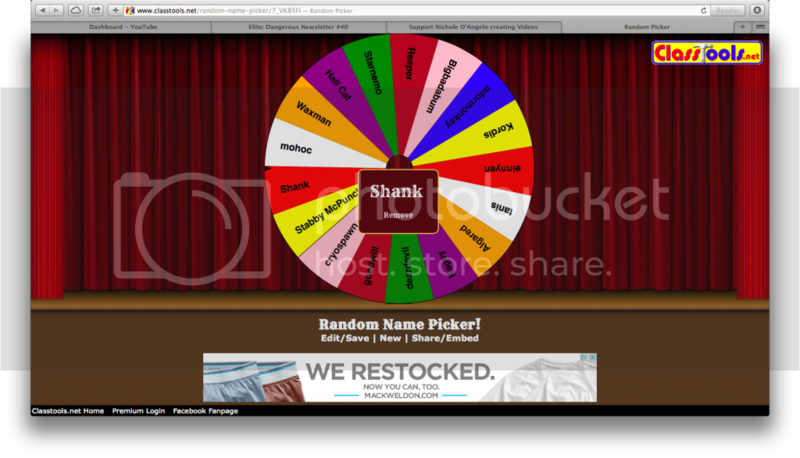 And the winner is.... Let's spin the wheel! Do you like my new random name picker. I thought the wheel was a god add, just don't like all the advertisements on the page. Batgirl wrote: Do you like my new random name picker. I thought the wheel was a god add, just don't like all the advertisements on the page. Use an adblocker. I use firestorm and there are a few. The ad's just don't show on the page at all. Shank, please IM me your email address so I can send you your prize! Everyone: Stay tuned for the next contest! Coming very soon! I would like to thank bees and other bugs for polluting so I can smell the roses.